Looking to improve your swing? 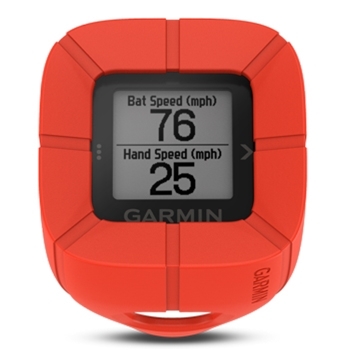 With Garmin’s Impact Bat Swing Sensor the on-device displays shows important information such as metrics, feedback and tips to improve your swing! 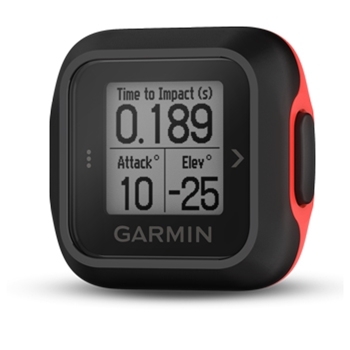 Pair with Garmin’s Impact App for even more detailed information! Train like the pros with the Garmin Impact Bat Swing Sensor. Whether you’re playing baseball, softball, or are a coach who wants to track your players batting skills, this sensor makes every swing count. A simple, slide on the handle installation, allows for quick and easy use right out of the box with an easy to read, on device display that shows instant information such as bat speed, hand speed, time to impact, elevation angles, and more. Each player can set up an individual player profile displaying age, name, and skill level along with the ability to select your activity such as baseball or softball. After every three swings, you will be offered coaching tips developed by professional hitting coaches helping every player or you as a coach, modify swings to improve batting averages. 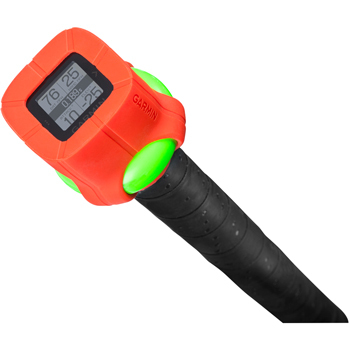 Up to 10 hours of battery life will allow multiple uses out of your Garmin Impact Swing Sensor making this a great device for multiple uses in a day, or practices spread out over several days. Once you have the Free Garmin Impact app downloaded to your compatible smartphone or tablet, you as the player or the coach can view swing metrics in almost real time after each swing allowing you to quickly adjust for a better swing. 3-D swing paths display through the Impact App in an animated, graphical representation of the batters swinging path from any angle. When working together with your Impact Swing Sensor, the Impact App allows you to video swings taken so you can analyze your swings and view stats for each swinging motion. This makes it easier than ever to compare swings previously taken, and compare them based on age, skill level, and sport chosen, whether you play softball or baseball. Track single or multiple players with your Garmin Impact Bat Swing Sensor, and your next training session will be a hit!